Drop off your wedding dress at one of our three Orlando locations, or use our sister site, wedclean.com for wedding dress cleaning delivered via FedEx. 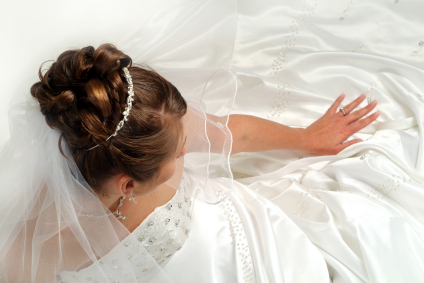 Preserving your wedding gown as a precious heirloom requires the skillful care and dedication to detail that only a Certified Master Cleaner can provide. With over 50 years experience and our exclusive wedding gown preservation system, we are able to provide heirloom-quality dress cleaning and preservation at a reasonable rate. After cleaning, your garments are hand-folded, packed with advanced acid-free materials and hand sealed in our museum-quality lifetime storage chest. Each gown that we clean and preserve comes with a lifetime guarantee, just as they have since 1928.